With many designs, variety, information and tips available, it can be overwhelming for you to design and furnish your home/ office. We, at Comet Inwoods, will work with you in making this experience fun and exciting! Offer a spectrum of interior design services. 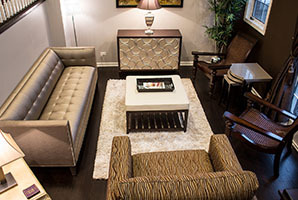 Work with you to design and/or select from our wide variety of furniture designs. Work with you and / or your existing architect / designer on your project. Provide unique pieces for you - offer styles ranging from Victorian to Contemporary. 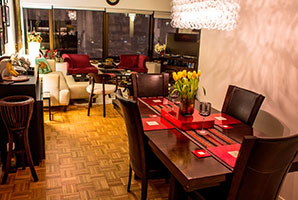 Comet Inwoods helped us with the interiors and furnishings of our new Penthouse of over 7000 Sq. Ft. 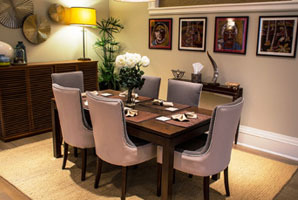 They were great at creating well put together custom furniture for our bedrooms, lounge, living room etc.
" Now exporting to the United States "